King Estate Agents are delighted to bring to the market this WELL presented three bedroom semi detached home, boasting TWO SEPARATE DRIVEWAYS, GARAGE, and an EN SUITE to the master bedroom. The property is situated in a cul-de-sac location, backing onto parkland, in the popular Racecourse Estate in Bletchley. The property benefits replacement Upvc double glazing and a replacement combi boiler, both changed in 2016. 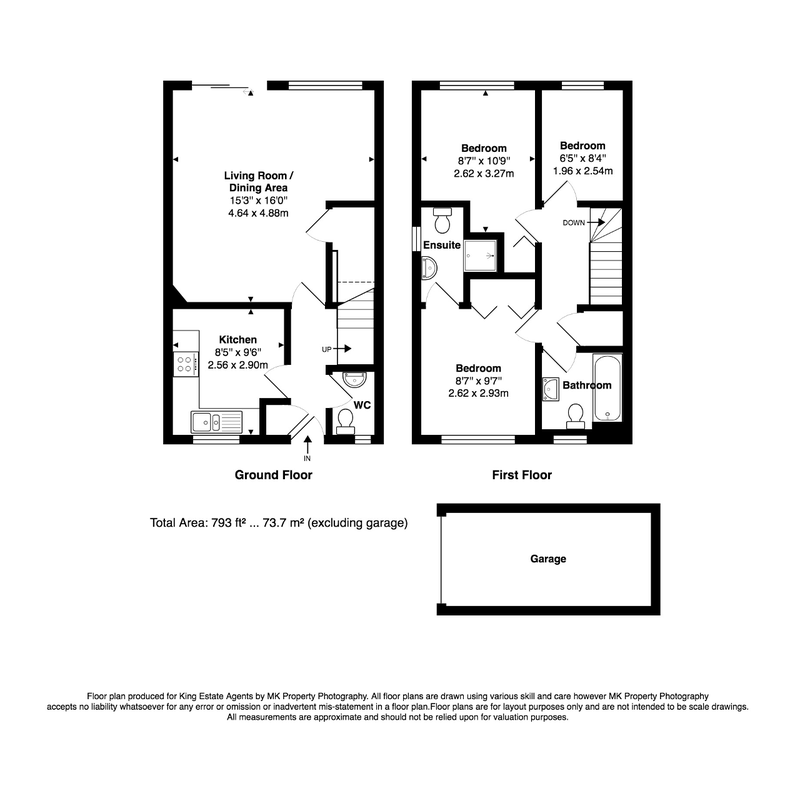 The accommodation to the ground floor comprises entrance hall, cloakroom, kitchen/breakfast room and living/dining room with patio doors onto the rear garden. The first floor comprise a master bedroom with fitted wardrobe and en suite, bedroom two with fitted wardrobe, bedroom three and a family bathroom. Outside there is a rear garden and to the front there are two separate driveways and a single garage.